Carey, Becky (Little Creek Press, 2012). A big brother learns about his little sister’s special code. A book to help explain Down syndrome to young children. Skotko, Brian and Susan Levine (Woodbine House, 2009). 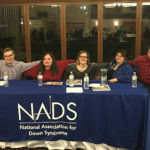 Uses a question and answer format to address questions from teens who have a sibling with Down syndrome. Meyer, Don and Patricia Vadasy, revised edition (Brookes Publishing, 2008). A guide to organizing workshops for siblings according to the SibShop model. Hames, Annette and Monica McCaffrey, editors (Jessica Kinsgley, 2005). Accounts from real-life siblings of children with special needs. McHugh, Mary, Revised Edition (Brookes Publishing, 2003). Interviews with more than a 100 siblings and experts. Meyer, Don, editor (Woodbine House, 2005). Eighty teenagers talk about what it is like to have a brother or sister with special needs. Meyer, Don and Emily Holl, editors (Woodbine House, 2014). Advice for siblings on topics ranging from communication to medical and legal issues. Meyer, Don, editor (Woodbine House, 1997). Essays from children who have a sibling with a disability. Stuve-Bodeen, Stephanie (Woodbine House, 1998). A little girl prepares to welcome her new baby brother with Down syndrome. Ages 3-7. Provides siblings of individuals with disabilities tools to advocate for their sibling and for issues important to their family. A national network to provide support to siblings of people with disabilities. Sibling support workshops (SIBSHOPS) are available throughout the country. 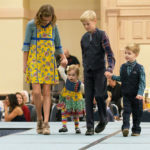 To provide support to siblings of people with disabilities in Illinois by connecting them with information, networking opportunities and resources to enhance the quality of life for them and their siblings.